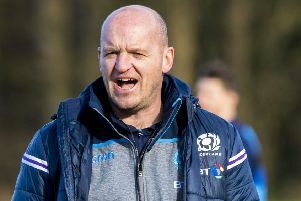 Edinburgh’s second successive loss in the PRO14 league leaves a big question mark over the club’s stated goal of making the end-of-season play-offs, especially since the team that beat them – Benetton – is one of their main rivals for the spot. Edinburgh have now lost three of their past four league matches. Leinster are out in front in conference B – they actually qualified last weekend – leaving four teams, Benetton, the Scarlets, Ulster and Edinburgh, to duke it out for the remaining two play-off places. “In isolation it’s disappointing,” said Richard Cockerill looking back at Saturday’s loss. “But I just said to the boys, we’ve got four games to go, there is every chance we can qualify in that top three and we will fight every inch to make sure that we do that. 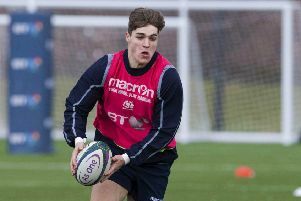 “Our season is very much alive, but when you get an opportunity you have to take it and it’s hard work in the Six Nations period, but we have to deal with that. Cockerill was alluding to a moment of madness in the second half when Edinburgh overplayed their hand during what should have been a textbook exit. Instead No.8 Ally Miller attempted a long pass from the base of the scrum to Chris Dean. The delivery was poor, Dean knocked on and from the attacking scrum Benetton’s replacement stand-off Antonio Rizzi was first to Monty Ioane’s grubber kick, according to the Italian TMO, although Edinburgh full-back Tom Brown will argue otherwise. “I haven’t seen it close enough to be honest, I need to see it close up,” said Cockerill of the contentious Rizzi try. “They are a very good defence if you run at bodies. We had better shape to our attack (in the second half) and that led to some opportunities for us. Look, they have only lost to Leinster and Munster (in Italy) the whole season so they are a difficult side to beat here and we maybe made it more difficult for ourselves than we needed to.